Relax and enjoy travelling while your belongings are protected by this Constellation suitcase that has a durable ABS hard shell. 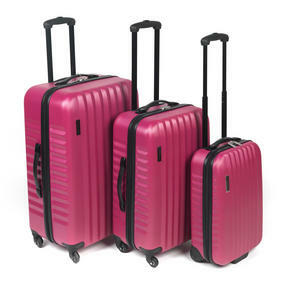 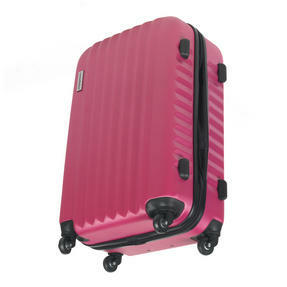 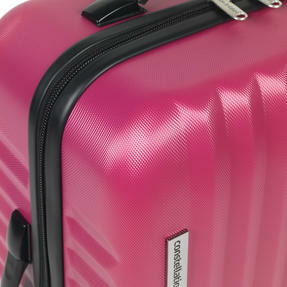 With a lovely pink exterior the case looks fantastic and despite its compact size it has 26 litres of packing space. Measuring 54h x 35l x 18w cm it is accepted as hand luggage by most airlines, check your airlines cabin requirements before you travel. 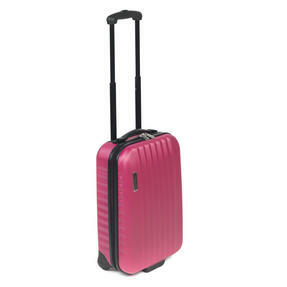 Featuring two smooth gliding wheels and an extendable handle, this brilliant suitcase can be manoeuvred with ease. 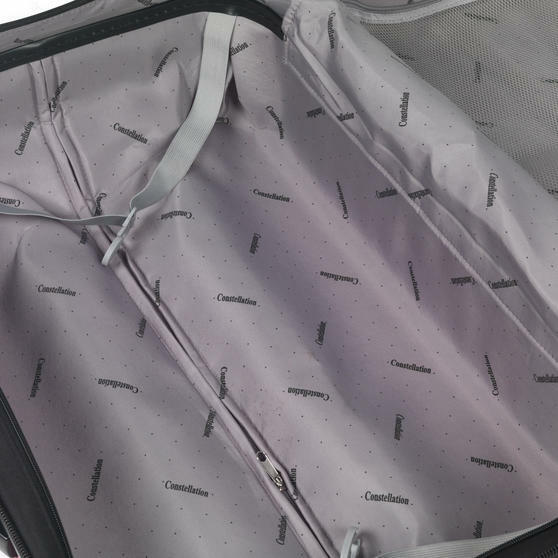 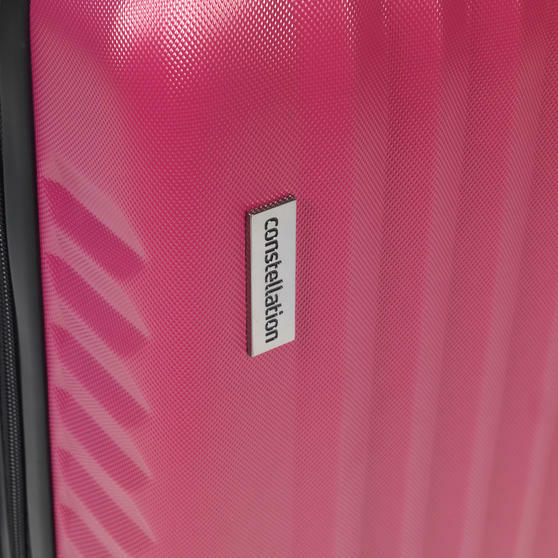 Get your holiday off to the perfect start with this brilliant Constellation Eclipse suitcase which is both practical and stylish. Robust and incredibly durable, the case has a fantastic hard shell to provide protection for you belongings while you travel. 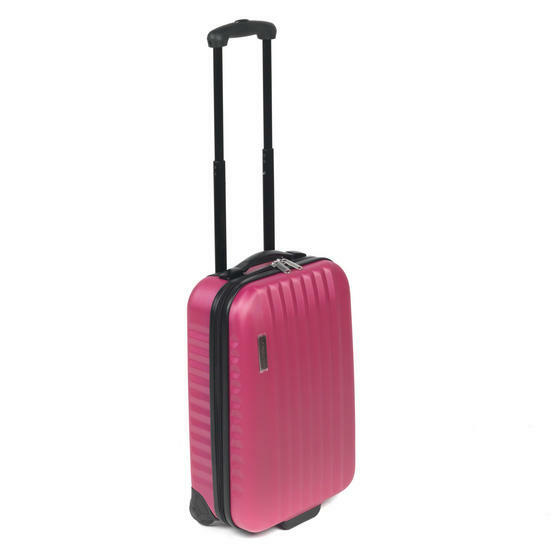 Featuring 2 smooth wheels for effortless manoeuvrability, you can use the extendable handle to pull the case alongside you comfortably. 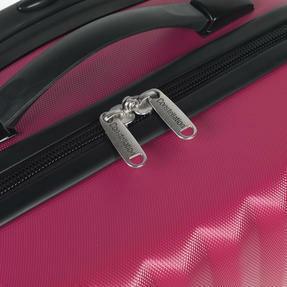 Measuring 54h x 35l x 18w cm the compact suitcase is cabin approved by most airlines, check restrictions before travel. 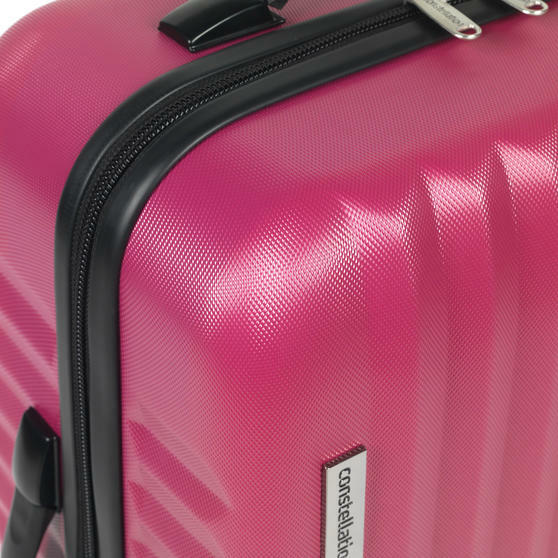 With a 26 litre capacity and a lovely pink exterior the case looks fantastic, it is perfect if you want to pack light for a week away.